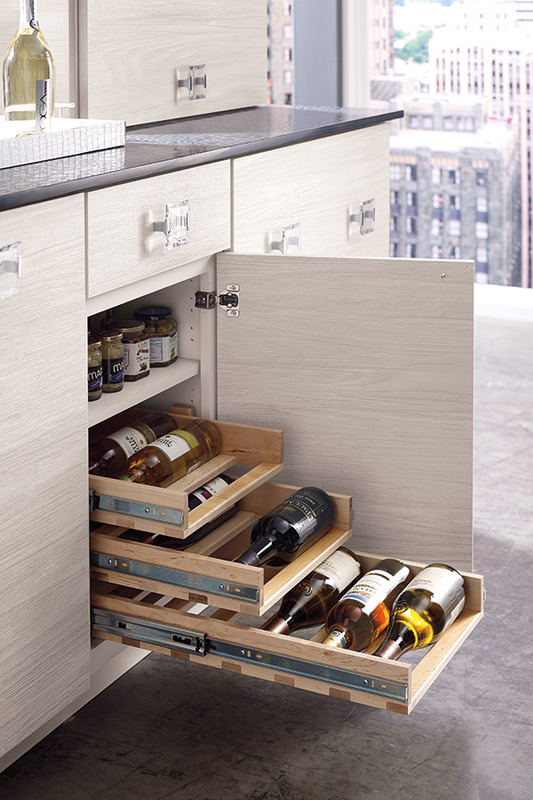 A transitional wine cellar might be one way to look at this versatile game-changer. 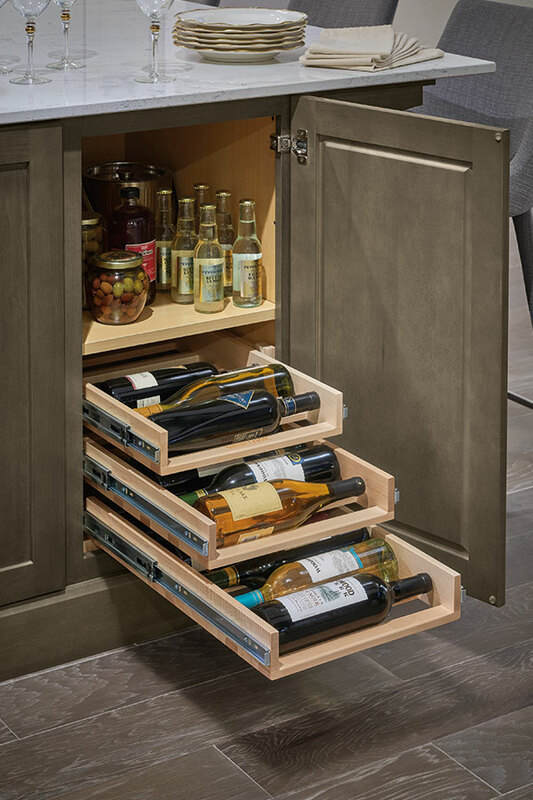 Choose our 5-rack option with capacity for up to 30 wine bottles, or select a 2 or 3-rack version featuring an adjustable, full-depth shelf to tuck away other items. This base cabinet is also a great storage option for keeping canned goods or other cylindrical objects within easy reach.